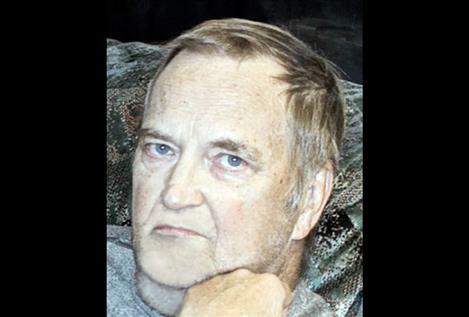 POLSON —Ralph Ivan Luke, age 75, passed away at his home in Polson, on Sept. 2, 2018. Ralph was born in Kalispell on May 23, 1943, to LeRoy and Vivian Luke. His family moved to Polson in 1952 where he graduated from Polson High School in 1961. After graduation he attended MSU for two years before leaving to join the Air Force. He later completed and received his degree from Central Washington University. He left the Air Force to return to Polson to help care for his father and there he met and married his wife Lynda in 1969. His job as an Air Traffic Controller took them to Hillsboro, Oregon, and eventually to Spokane, Washington, where their son Erik was born in 1979. After the controller strike in 1981 they returned to Polson where he worked at the lumber mill and then Super 1 until cancer forced him to retire. While in the Air Force in California Ralph became an avid British sports car fan and loved racing his Austin Healy in the sports car club. He had a love for flying and obtained his private pilot’s license while working in Hillsboro, Oregon. Ralph also started working with the Boy Scouts while in California. After moving to Polson he became very involved with the scouts as a scout master and served on the Boy Scout Council until his health made it too hard to continue. He is proceeded in death by his father, LeRoy (Bud); his mother, Vivian; and his brothers, Bill and Cliff. He is survived by his wife, Lynda; his son, Erik and his wife Stacy; his sister. Carol; his brother, Duane and wife Elanie; and numerous nieces and nephews. A memorial service will be held at Good Shepherd Lutheran Church on Sept. 15 at 11 a.m. Instead of flowers, donations should be made to the charity of your choice. Kelly Sias RONAN —Kelly Louise Sias, 83, of Ronan, passed away at her home on Saturday, Sept. 1, 2018. Cremation will take place and no services are planned at this time. Messages of condolence may be sent to the family online at: www.shriderthompson. com. Shrider-Thompson Funeral Home, Ronan, is assisting the Sias family with arrangements.